Are Humidifiers Safe for Newborns? Are There Any Health Hazards of Humidifiers? As external temperatures fall so does the humidity in our homes. Heating your home exacerbates the situation, and since air with low humidity cannot hold as much heat, you’ll often need to run your heating even harder to achieve greater comfort. It’s not just about coziness either! Dry air in our homes can cause a number of nasty side effects that can make us unhealthy and worsen various ailments (source). Enter the Personal Home Humidifiers! These room humidifiers provide a warm mist or cool mist or even both in order to add moisture to your air. Such products are reasonably priced and cost-effective over the long run. They are also super easy to clean in general, so you can enjoy all of benefits without adding much hassle to your daily life (source). Selecting the best humidifier on the market is not simple, unfortunately. There are many available features that vary for each product based on budget. Our goal with this buying guide is to answer the most common questions asked by potential customers about humidifiers. We also aim to review, compare and analyse a wide range of popular, feature-enriched humidifiers and break down that information to you in an easy and understandable way. In our comparison table of best humidifiers, you will find some basic information about each product that is further explained in our review section. We’ve listed the ten products from top to bottom based on their overall features, pricing and value for the end-user. Here we take a look at the best humidifiers in this review section. We tested, reviewed and ranked them based on several factors that can be studied in each product review. I hope all this in-depth analysis will help you make a quick and informed decision. The BONECO 7135 is our favorite humidifier that many on our team use in their own homes! It’s an ultrasonic humidifier, which means that it uses high-frequency vibrations to turn water into a fine mist that can then infuse the air. This approach means that you can choose between warm mist and cool mist, which we really like since you can set it to whatever is appropriate for the current season. Another feature that makes this the best humidifier is an integrated humidistat. Better yet, it has a deluxe LCD screen too, and that makes it very easy to dial in the exact humidity level you want. The Air–O–Swiss 7135 will also show you the current humidity level inside the room. The buttons are well-organized and intuitive. The automatic mode is on by default and will keep your room at desired humidity levels at all times. The BONECO 7135 also features a sleep mode, which maintains a higher humidity level for your sleep period and then automatically reverts back. Don’t worry about noise, the BONECO 7135 is one of the quietest humidifiers on the market. Not only this, but sleep function puts the machine into an extra quiet mode. We could barely hear anything at all during the standard mode, and the sleep mode was completely silent for practical purposes. It also features a huge reservoir that can hold up to 1.75 gallons of water. On the highest of three performance modes, the BONECO takes just 12 hours to turn that entire tank into mist. That makes it powerful enough to handle rooms up to 650 square feet. It is a little on the pricey side. The manufacturer recommends using distilled water. 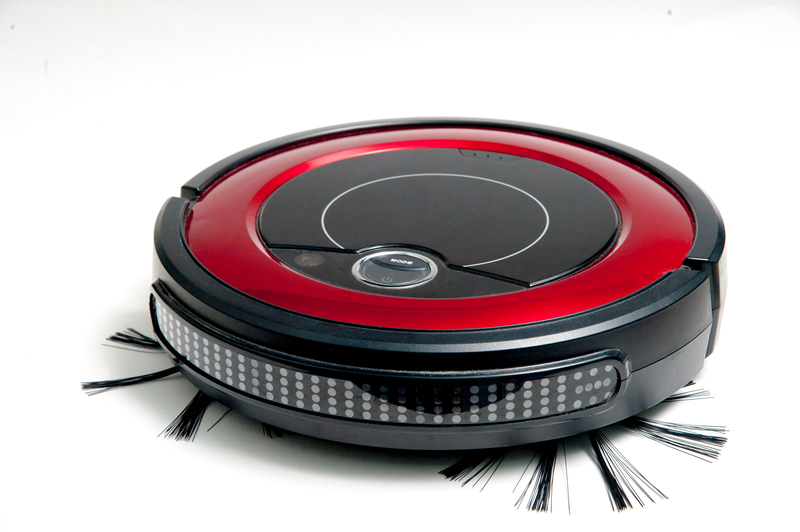 Cleaning is relatively easy, and BONECO provides a three-year warranty, which is pretty good. We also found that people who dealt with BONECO customer support were generally very pleased with their overall experience. Click here to see the price of the BONECO Warm Cool Mist Ultrasonic Humidifier 7135 on Amazon. The HCM-350 by Honeywell is the best cool mist humidifier of 2019, period. This really is one of our favorite products on the market, and the only reason it comes in at number two is because we really like ultrasonic humidifiers and option to switch between cool and warm. That said, the Honeywell HCM-350 may be the best choice for dry skin and allergies. It has also received many recommendations from pediatricians as the ideal humidifier for a baby. Not only does it emits a cool mist, but it is also whisper-silent at all times (source). The HCM-350 uses evaporative approach rather than ultrasonic. It features a 1.1-gallon tank and can yield 2.3 gallons per day. That makes it suitable for rooms up to 500 square feet. It also uses a mineral removal filter and offers germ eradication via ultraviolet light. The size is a bit larger and cumbersome than other humidifiers on our comparison chart, but it comes with a carrying handle and weighs less than 10 pounds empty. The plastic is also shatterproof and dishwasher safe. You can stick this entire unit in your dishwasher and clean it with a cup of bleach at the same time. This option makes it second to none as an easy-to-clean humidifier. The Honeywell HCM-350 is perhaps the superior quality humidifier for its price range. It is not a product with zero number of issues of course. It lacks a humidistat, and while there’s an argument that evaporative technology does not require it, we really still prefer to have it regardless. Click here to see the price of the Honeywell HCM-350 Cool Mist Humidifier on Amazon. The LEVOIT LV600HH is another spectacular ultrasonic humidifier. If you want ultrasonic and choice between warm and cool mist but are put off by price of BONECO 7135, you’ll want to look closely at the LV600HH. This is one of the good humidifiers if you choose the model with integrated sensor, and even if you prefer an external sensor, it’s still among the top appliances. The Levoit LV600HH boasts one of the most accurate thermostats on the market. Controls allow you to dial in your ideal humidity, and an LCD screen shows that percentage as well as current level of humidity. Consumers also seem to enjoy this model as a low-maintenance humidifier. While no model featured here is as easy to clean as the HCM-350, the LV600HH is fairly simple to wash out as well as being a much more robust machine. The manufacturer recommends a 30-minute vinegar soak, and the actual scrubbing and drying that you have to do shouldn’t take more than 15 minutes. Something else we like about this ultrasonic machine is how stylish it is. 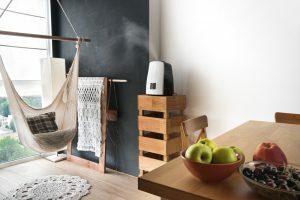 Style won’t make or break a selection for us when it comes to humidifier ratings, but this is by far one of the best-looking humidifiers when you have it in a living room or other areas where you’ll host guests. That said, we’ve also found this unit to be whisper-quiet and among the top rated bedroom humidifiers we tested and reviewed. Click here to see the price of the LEVOIT LV600HH Hybrid Ultrasonic Humidifier on Amazon. The PureGuardian H4610 Ultrasonic Humidifier can run for 120 hours without needing a refill! It’s an excellent option for medium and large rooms, when you need a humidifier that can go a few days without you having to worry about it. It also features patented mildew-fighting technology so that if you do leave it unattended, there’s even less for you to worry about. The H4610 Humidifier features a 2-gallon tank and is appropriate for rooms up to 650 square feet. It also features both a warm and cool mist mode, so you can choose the one appropriate for the existing climate. The H4610 is practically silent, so it’s ideal for bedrooms or in rooms where you’ll enjoy movies, music and other entertainment. The digital display also emits a nice soft light so that it is easy to control in middle of the night but does not light up your entire room, which is a problem with some models. We like this model for alleviating dry eyes and noses. In addition to being among the prime humidifiers for dry noses and eyes, it is also a great option for allergies, cold and flu symptoms. The main reason why this unit slips a bit on our comparison chart is because it lacks an integrated humidistat, which we expect to get at this price point and on ultrasonic machines in general. It also lacks a demineralization mechanism, so making use of distilled water is almost a must. If you have hard water in your home, take care since mist can leave behind a white dust as it evaporates. Click here to see the price of the PureGuardian H4610 Ultrasonic Warm and Cool Mist Humidifier on Amazon. There’s really a lot to like about this budget-friendly humidifier. We must remind that this model only provides cool mist rather than giving you a dual option like most ultrasonic devices. This may be a deal-breaker if you live in a cool climate, but otherwise, it’s hard to complain at this price point. The Pure Enrichment MistAire offers a 1.5-liter water tank and can operate 16 hours continuously without refilling. It doesn’t have a built-in humidistat, which is another sacrifice to expect at this price range. While you do need to take caution about not to over-moisturize, it is still an easy to use humidifier on our comparison table. Automatic shut-off is also included. This means that the humidifier will shut down itself when water gets low or even when you remove the tank. It also features an optional night glow, which can serve as a night light and is surprisingly soothing. We really like that effect. A 360-degree nozzle enables you to direct the mist. This feature is really handy when you want to position the humidifier somewhere but have an area in close proximity that you don’t want to receive moisture. Overall, Pure Enrichment Humidifier is a great machine. Sure, there are a lot of humidifiers out there with better features but not at this price. It’s a wonderful option for those who need a humidifier but don’t want to spend a great deal of money. Click here to see the price of the Pure Enrichment MistAire Ultrasonic Cool Mist Humidifier on Amazon. This cool mist humidifier from TaoTronics is among the most popular options on the market right now. It is relatively an inexpensive unit. Despite this wallet-friendliness, it is loaded with awesome features that you’d expect on significantly more expensive machines. The TaoTronics has an integrated humidistat. An LCD screen informs you about current humidity levels and shows you existing settings when you change it. It also features convenient buttons for on/off, activating timer, putting it in sleep mode and increasing or decreasing mist quantity. TaoTronics cool mist humidifier also supports an optional cartridge that filters water and eliminates microorganisms. There is no demineralization capability, however, so it is advised that you use distilled water, and it is practically a requirement if you have hard water in your home. With a full tank, TaoTronics humidifier can operate for 15 hours without need to refill at highest mist setting. It is also suitable for rooms up to 538 square feet, which we think is pretty impressive under this budget. It is super quiet as well—38 dB at its noisiest—so it is great for bedrooms and nurseries. The biggest negative to this machine is the tank. Filling it can be a pain, and cleaning this humidifier isn’t that easy either. If you can live with these shortcomings, however, you definitely get a lot of value for the money. Click here to see the price of the TaoTronics Cool Mist Humidifier on Amazon. The Sunpentown SU-9210 is one of our top picks among evaporative-style room humidifiers. It is not an expensive unit at all and packs a lot of features into a compact, stylish design. 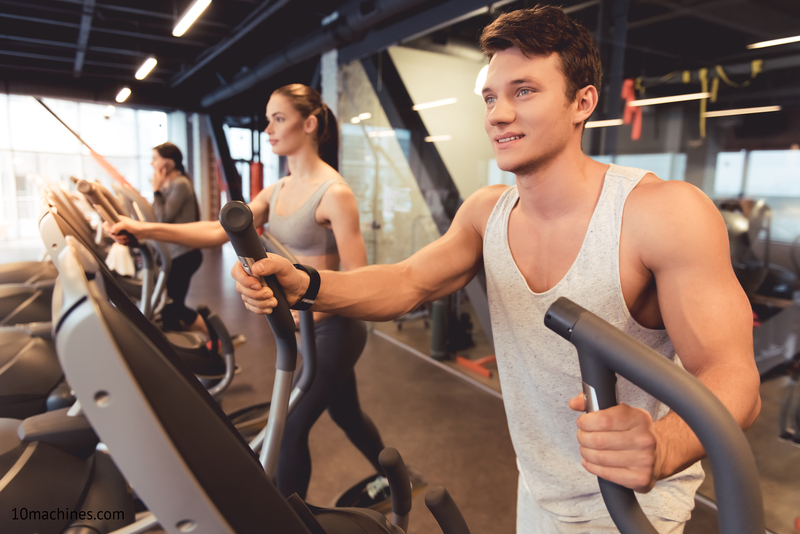 Those features include a humidistat that lets you see current humidity stats and will activate the machine as needed in order to maintain your desired humidity level. The Sunpentown SU-9210 works by drawing dry air in and then emitting it as moist air. It does this via a two-speed fan. The tank holds one gallon of water, and there is a filter to remove minerals and ensure no white dust. The LCD readout even alerts you when filter is near full capacity and needs replacement. Air is moistened via a wick filter. These filters last at least three months even with constant use and are relatively inexpensive. All in all, this is a really easy machine to clean as well. You just have to empty and wipe out the tank once a week, and it is also easy to access. In addition to being easy to clean, SU-9210 is one of the most convenient humidifiers that we tested. That makes it one of the best humidifiers if you want to gift it to Mom or Grandma and don’t want to give them something that’s a hassle to manage. Click here to see the price of the Sunpentown SU-9210 Digital Evaporative Humidifier on Amazon. Vicks is a household name, and with the V745A, it gives us one of the top-notch warm mist humidifiers on the market at a fantastic price to boot. Not only is this model super-affordable, but it’s among the good humidifiers for coughs and all manner of cold, flu and allergy symptoms. It’s also soundless so if you’re sick and trying to sleep, it’ll reduce your symptoms while not keeping you awake in the process. 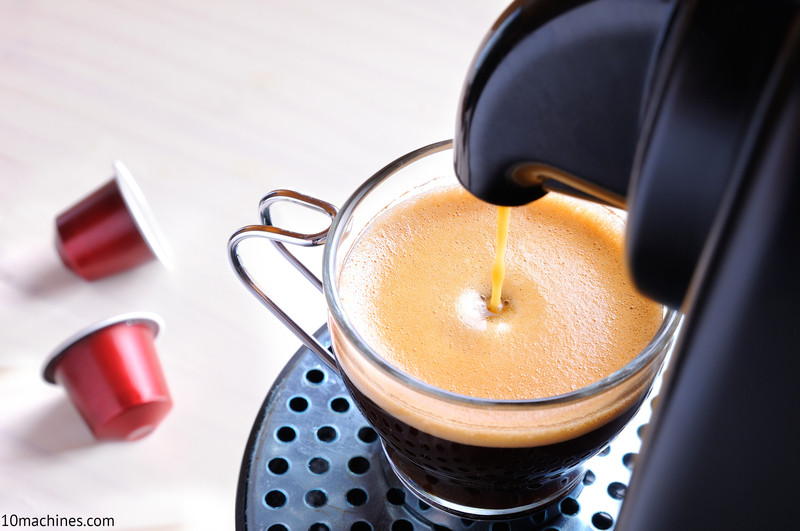 Another aspect we love about the V745A model is that it’s filter-free. It is equipped with a 1-gallon water tank, can operate for 24 hours on a full tank and will shut off automatically when it runs out of water or you remove the tank. The V745A is also designed to work with VapoSteam. When you add it to the water, medicated steam is generated. It really is a game-changer and a reason why many on our team own one of these even though it may not be our primary humidifier. Vicks V745A also promises 95-percent bacteria-free mist and this unit has been tested and deemed appropriate for kids of all ages, including infants. You should, however, check with a pediatrician before using VapoSteam with kids. The V745A is also super easy to clean. It took us less than 10 minutes, and on top of the fantastic price, Vicks gives you a three-year warranty. Click here to see the price of the Vicks Warm Mist Humidifier V745A on Amazon. The Vornado brand may be best known for manufacturing fans, but it makes a heck of a humidifier too. The EV100 is whole-room humidifier up to 300 square feet. It also functions well as a personal humidifier and has a reputation for being among the great humidifiers for plants. Our team was impressed with its size and design. This is a bit smaller than you might expect from a humidifier that can handle large rooms. Apparently, this is thanks to the Vortex Action airflow that the company has innovated in design of its fans—or air circulators as it likes to call them. This product is also fairly easy to use and maintain. It features what Vornado calls the SimpleTank system, and while that may sound like marketing gimmick, it really is quite simple. The cannister detaches easily allowing you to fill it like a pitcher. It also makes cleaning easy, and if you don’t want to do it by hand, a dishwasher is an option just like with Honeywell model on our comparison chart. Vornado offers a five-year warranty, which is the longest we bumped into. Furthermore, it is a satisfaction guarantee. If you’re dissatisfied for whatever reason at any point along those five years, Vornado will refund your money. Note that Vornado also sells a 1.5-gallon version of this humidifier. It’s a little more expensive but allows for 36 rather than 24 hours of continuous usage. Click here to see the price of the Vornado EV100 Evaporative Whole Room Humidifier on Amazon. If money is no issue, then we definitely recommend the Stadler Form William Ultrasonic humidifier. It is also one of the most stylish—seriously. 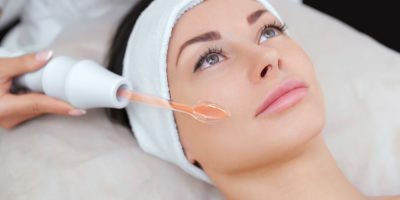 The marketing boasts about how much care went into both aesthetics and technology, and we don’t doubt it. That level of attention to detail went into craftsmanship as well. The materials and construction are just beyond any of the other humidifiers that we tested so far. That’s a big part of what makes this one of the best home humidifier we reviewed, but the hefty price tag drags it down on our top 10 list. The Stadler Form Humidifier features a 1.5-gallon water tank and only weighs 7.3 pounds empty. It offers three output levels, and at the highest level, it can output 3.5 gallons in 24 hours. In terms of coverage, the marketing contradicts itself: 1,000 square feet at one point and 860 at another. The 860 measure is probably the accurate one, but that’s still more than enough for nearly any room unless you live in a mansion. Despite the fact, we love everything except its price and it is hard to recommend because of that. The Boneco 7135 doesn’t quite have the style of this machine, but it’s comparable in most other ways and costs a lot less too. That said, if you need humidifier for a room larger than 600 square feet or so, then there’s really no other option on the market as good as Stadler Form Humidifier. Click here to see the price of the Stadler Form WILLIAM Ultrasonic humidifier on Amazon. It’s also worth noting that our team has been reviewing humidifiers and using them in our personal lives for a long time. What that means is that we’ve had years of first-hand experience with many of the products that made our top 10 humidifiers list. That helped our subjective assessments greatly. We tested and used a wide range of home humidifiers available on the market. Our team paid particular attention to ease of use, ease of cleaning and features, such as humidistats and auto-shutoff mechanisms. It was also important to test efficiency in terms of electricity, water and any filter media. The subjective portion of our humidifier reviews was all about how we felt. Our team even slept with these products in our bedrooms to determine how much better we felt the next morning. We tried cool mist and warm mist in various climates as well. Preferences and personal experiences will vary from one person to the next of course, but our team is diverse, and it was rare that we ever had experiences that were markedly different from each other. Nevertheless, since personal experience can vary so greatly when it comes to the best and most-efficient humidifiers, we wanted to look outside our team as well. We paid attention to Consumer Reports and other highly respected professional reviews. Lastly, we looked to the consumers. We were particularly interested in people who use these products for months and were interested to leave their impressions. It surprised us how many satisfied consumers were willing to come back to write a review often a year or more later just to update it. There was truly some great insight to be found here. The answer in a nutshell is everyone can not only use a humidifier but benefit from that use! A quick note: adhere to whatever recommendations your doctor provides. We’ve never heard of a doctor telling a patient not to use a humidifier, but if a doctor tells you to get a humidifier for specific health reasons, then you should stick to that advice, such as cool mist versus warm mist. For most people, however, it just comes down to a matter of preference. As long as you’re not overusing your humidifier and you’re keeping it cleaned and well-maintained, you’ll benefit, and your preferences really don’t matter in terms of how much you benefit, so gravitate toward whatever you like. There’s no ideal relative humidity. There’s a recommended range: 40 to 50 percent. As long as the humidity in your home is around that range, then you’ll be reaping benefits in terms of your sleeping behavior, skin, nasal passages, throat, eyes, houseplants, so on and so forth. In terms of comfort, there’s no right answer. Be mindful that there is a relationship between temperature and humidity in terms of how you feel—we’ll discuss this in detail further down in How Does a Humidifier Work section. The 40 to 50 percent range should allow you to keep the thermostat at lowest possible setting to still feel warm. The exact temperature and humidity will depend on you and your family. We’re all different. Some people are more sensitive to humidity and will feel it right at 40 percent or even less. Don’t worry about being “right.” Focus on being comfortable. Everything should fall into place from there. Determine how much you want to spend. Generally, there should be small budget to get any of the quality humidifiers for large rooms, but you can spend a lot less and still get a really nice machine. If you’re buying products for more than one room, then trying to zero in on a particular budget for each. Think about the room where you’ll be using the humidifier. The best humidifier for bedroom use is not necessarily the best humidifier for a basement or nursery. If you have to buy one machine that you’ll move around, determine where it’s most important to you to reap the most benefits. It’s very important that you size your humidifier appropriately. Majority humidifiers on the market won’t work well in a room if it is twice the size for which they were designed. It’s better to have a machine that is more powerful than not being enough. So if you’re purchasing a humidifier for use in your bedroom or living room, pick its size based on larger area. You also need to factor in ventilation. If a room is not well-ventilated, then you’re generally going to need a more powerful humidifier to handle that extra work. The ideal mist type is only a matter of preference. But know that many warm mist humidifiers do present a risk towards children. Additionally, warm mist tends to be more effective in cooler climates while cool mist happens to be more efficient in warmer clients. The humidifiers that offer both warm and cool mist functions are really a great option since you only need to switch the mode based on prevailing weather. Special features are often what separates the high-end humidifiers from the economy options. We’re of the opinion that an integrated humidistat is a must have feature. Without it, preventing your humidifier from over-moisturizing the air is too much of a hassle. We also tend to prefer timers, auto-shutoff mechanisms and self-cleaning modes, but those are luxuries and not much of a deal-breakers. Finally, pay attention to how much noise these machines generate. Most of the highly rated humidifiers are relatively quiet, but there are few that are just noisy as heck. It comes down to your sensitivity and the room where you plan to use it. We found that having an extremely-silent humidifier in bedroom is super-important but that we could also get away with a bit more noise in living room as well. A humidifier in your home helps ensure that the air is never too dry. The ideal humidity means that you’re as comfortable as possible at the ideal temperature (source). The evaporator design employs a fan to force air through a moist filter. 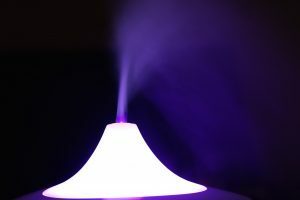 This approach is generally less expensive than other humidifier options, and you’ll see this technology represented on our comparison table because they are often simple to use and provide excellent value. Vaporizers have a heating element that boils water and releases steam to add moisture to the air. These products are often relatively inexpensive and highly portable, but the approach is more designed to affect the immediate air around a person rather than an entire room or home. Central systems are the most expensive humidifier option and have to be integrated with central heating equipment either at supply or return end. Such systems force water through a humidifier pad, which is also known as a water panel, and the moisture of pad can be dictated based on indoor humidity levels as determined by a humidistat. This design uses disks that rotate at high speeds in order to infuse air with moisture. The form of that moisture is cool mist. Since there is no heat involved, these units never get hot to the touch, and that makes them an intriguing option for use around children. This design uses ultrasonic vibrations to create mist and infuse air with it. An advantage of this approach is that these devices can support both cool or warm mist. Not all products do, but those that achieve it are quite versatile and available in multiple range of sizes. Yes! 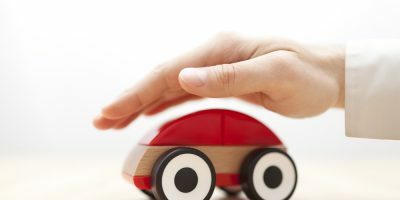 In fact, most pediatricians recommend using a humidifier in a nursery. Kids—and infants in particular—are much more prone to the symptoms that come from dry air than we are as adults. It is not unusual for children to experience nosebleeds, eczema and a wide range of other conditions that will only spring up during winter when you’re running heat all the time (source). Speak to your pediatrician for personalized advice, but many doctors recommend using evaporator style humidifiers in nurseries. This is also another argument against whole-home solutions. Many people want to follow a different approach in their nurseries than in their bedrooms, family rooms and so forth, and a central system doesn’t allow for that. Make sure that the humidity is monitored and appropriately controlled. The best humidifier for nursery should have an integrated humidistat and automatic shutoff. There are certainly few concerns to address. Placement is an important consideration, especially when it comes to warm mist humidifier. You’ll also probably want to used distilled water to avoid minerals in the air. This is a good idea to apply for the entire home but for nurseries in particular. Also, do not use any additives—such as oils—without consulting with your pediatrician to determine if it is safe or not. 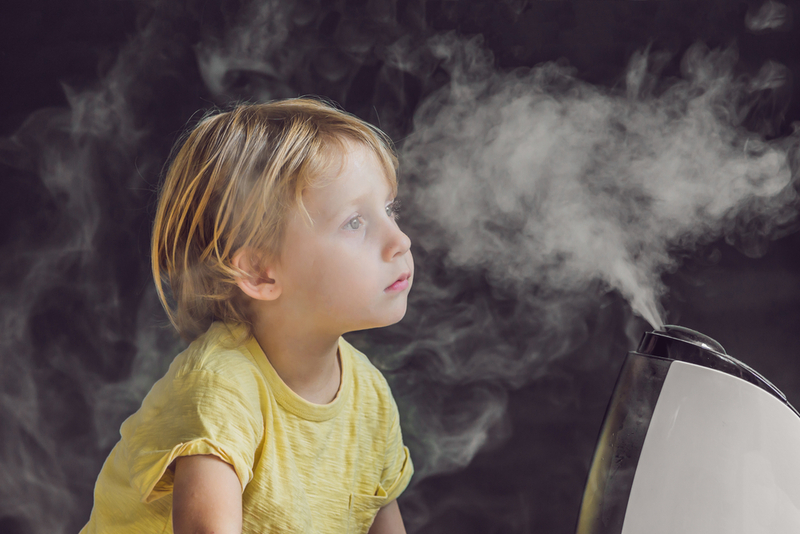 No health hazards are associated with humidifiers when they are used properly. There are two main ways through which people use humidifiers inappropriately. Too much humidity is not good for you either! It can be particularly problematic for people with asthma, allergies or other breathing conditions, and it can even make it more difficult to breathe for people who do not have any such issues. It can also make it tough to achieve a comfortable room temperature. The risk of over-moisturizing is why we strongly recommend humidifiers with built-in humidistats or at least having a hygrometer so that you can test it yourself and adjust accordingly. High humidity also isn’t good for your home. It can decrease the life expectancy of furniture and hardwood floors, and can promote growth of mildew and even mold (source). An overly moist environment is also a perfect breeding ground for harmful bacteria and even dust mites. Not cleaning your humidifier is a problem itself and can also amplify issues that arise from over-moisturizing. Harmful bacteria will grow in a humidifier if not cleaned regularly, and the machine will then distribute that bacteria throughout room as it humidifies (source). That makes your entire family more susceptible to common colds and even the flu! As we just went over in the section above, unclean humidifiers present real risks. The easiest way to avoid these problems is to clean out your humidifiers on regular basis. We also recommend using distilled water in order to avoid minerals and microorganisms inside air. It’s generally recommended that you deep clean your humidifiers once a week. However, we recommend adhering to manufacturer’s guidelines for each particular product. All room humidifiers come with detailed instructions and advice about cleaning because it is truly important. Deep cleaning involves emptying the tank and then rinsing it out thoroughly. You can also use chlorine or a chlorinated product, such as bleach, to disinfect. Rinse thoroughly again. Throughout week, wipe the device and remove limestone deposits as needed. Self-cleaning humidifiers can save you a lot of time. These low-maintenance humidifiers often have demineralization capabilities as well as filters that kill pathogens. Note that low maintenance and self-cleaning does not mean ‘no cleaning at all’. These products still need to be cleaned by hand but less often. We also recommend changing out water between uses. This is mainly a concern when humidifier sits unused for a long period and thus there’s possibility for water to stagnate. Well, there you have it. Hopefully your questions have been answered and you have a clearer picture to pick humidifiers that are actually best for you and your family. It is a wonderful investment that don’t really cost that much, have a very low total cost of ownership and provide comfort & health benefits for a long time—it is not unusual to get 5 to 10 years out of them. Just take the time to choose the right humidifier for particular room size and it will serve you well. Brand and model preferences aside, this is a product in general that I believe in and use throughout my own home. The other team members do as well. Whole-home options just aren’t cost-effective to me. The whole-home benefits just aren’t there. I’d just rather have a humidifier with me in the room where I currently am, and it seems that the market as a whole agrees with me.